The firm replaced 1000W and 400W high-pressure sodium floodlights with more sustainable Lumenbeam Xlarge and Grande luminaires. 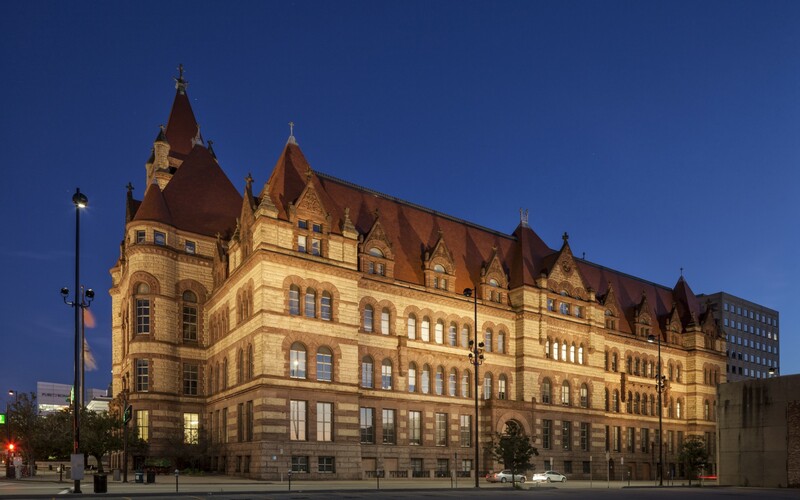 To reduce energy usage, and refresh the building’s nighttime presence, the city turned to lighting designers Eco Engineering. The luminaires are mounted on the same assembly poles as the original design. 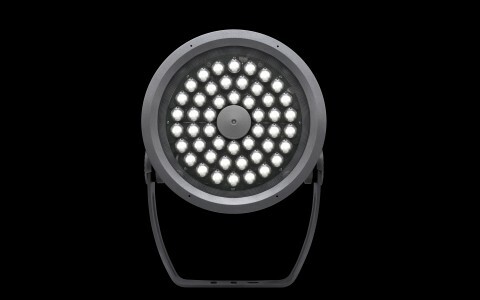 With the efficiency and distribution of the Lumenbeam luminaires, the total number of fixtures needed could be reduced. To accent the architecture, Eco Engineering decided to floodlight the façade in warm 3000K light. The switch reduced energy consumption by 84%, cutting over 265,000 pounds in annual carbon emissions. Subtle and practical, the new LED lighting design has slashed energy consumption; all while giving the building a fresh new look. 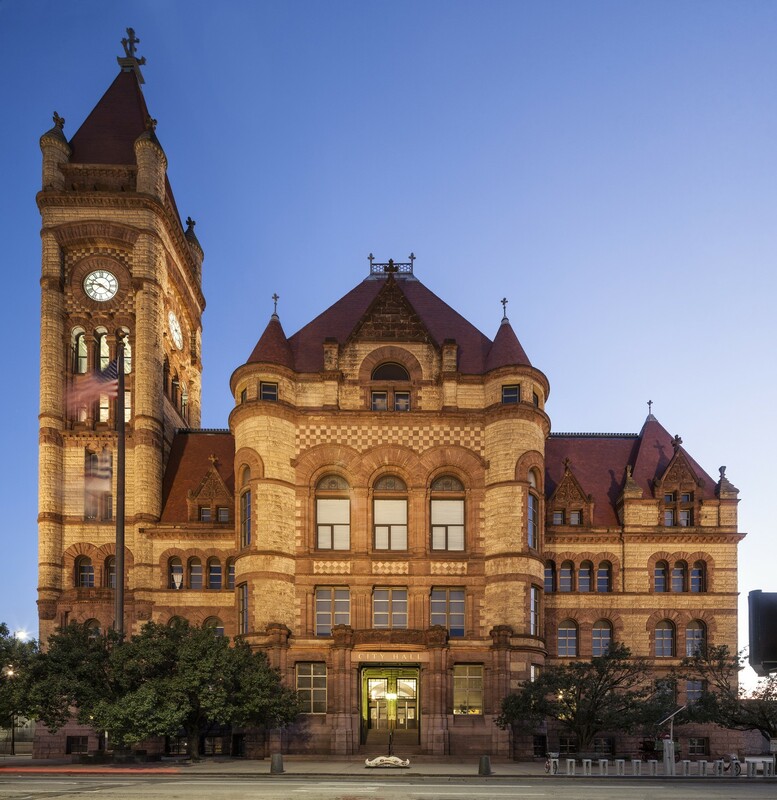 Listed on the National Registry of Historic Places, Cincinnati City Hall has been an iconic Ohioan structure since 1888. 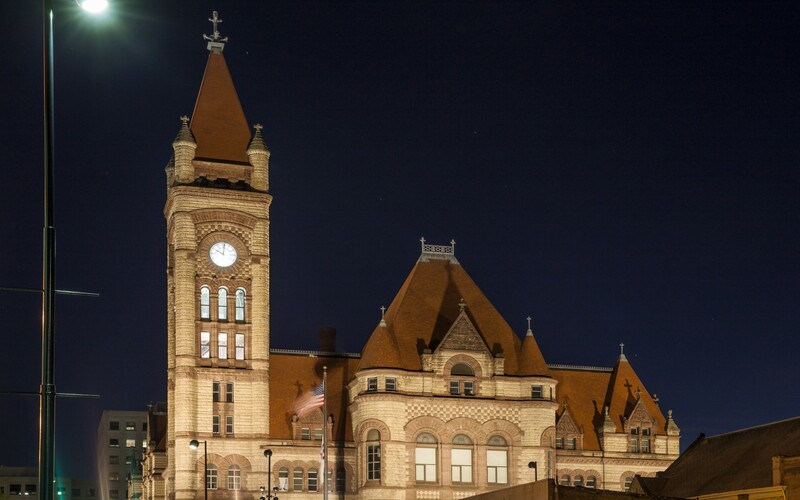 At Cincinnati City Hall, lighting engineers Eco Engineering used Lumenbeam luminaires to enhance the architecture of the 127-year-old building, all while reducing energy consumption by 84%. 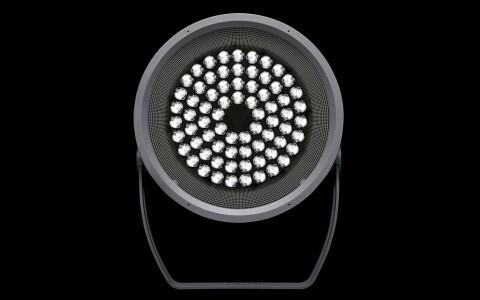 After looking at other manufacturers’ efficacy, we felt that Lumenbeam fixtures were the best choice. They had the right mix of performance and sustainability, and their low profile was a huge advantage, letting us hide the fixtures from view. 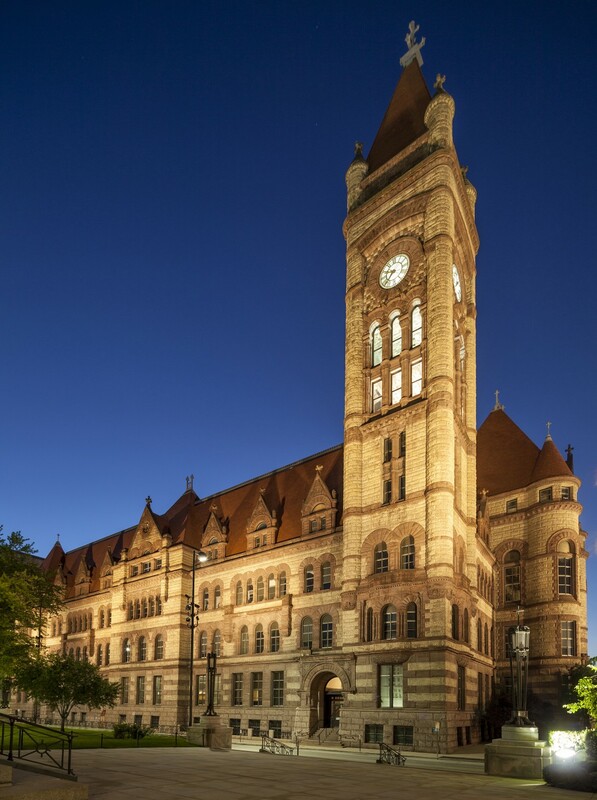 Listed on the National Registry of Historic Places, Cincinnati City Hall has been an iconic Ohioan structure since 1888. 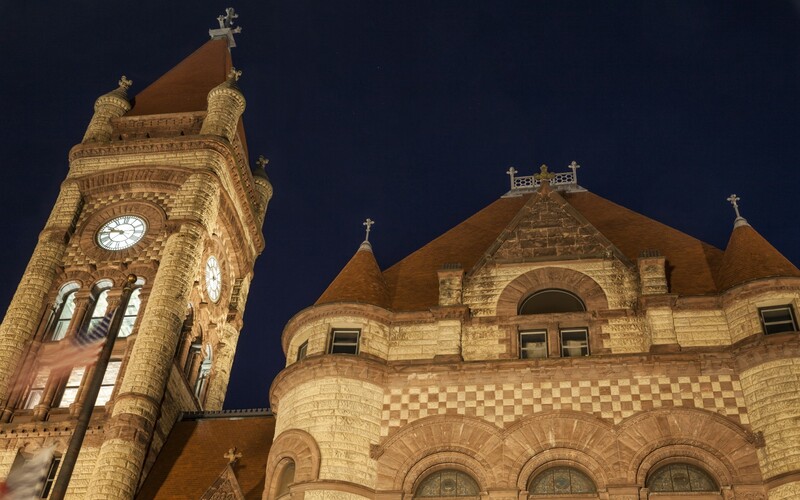 To reduce soaring energy usage, and refresh the building's nighttime presence, the city of Cincinnati turned to local lighting engineers Eco Engineering. "The building's lighting setup was very costly, with 38 assembly poles holding 2 to 6 fixtures each, for up to 4000 watts a pole. The priority therefore was to reduce energy use," said Matt Minard, Lighting Engineer at Eco Engineering. "But we also wanted to enhance the façade of the building, which had been lit in a way that threw light into windows, and gave the building a cold, bland appearance," he said. Eco Engineering replaced 1000W and 400W high-pressure sodium floodlights with sleeker, more sustainable Lumenbeam Xlarge and Grande luminaires. The switch reduced energy consumption by 84%, cutting over 265,000 pounds in annual carbon dioxide emissions. 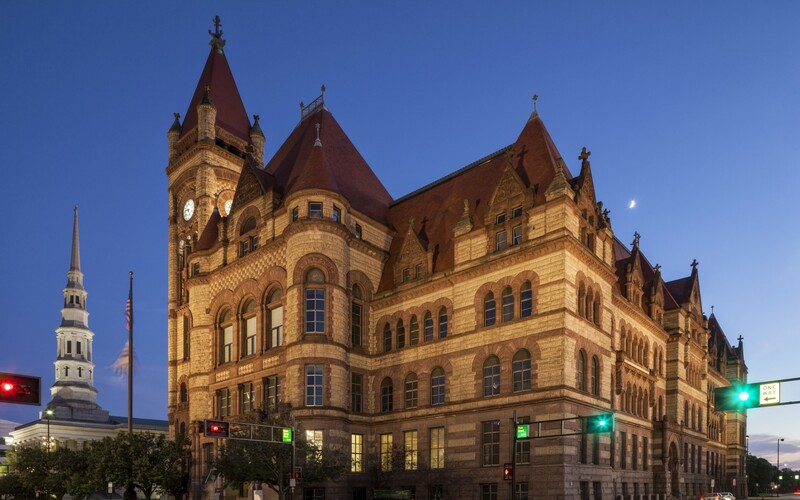 "Lumenpulse's work with historical buildings was an inspiration for the design, and after looking at other manufacturers' efficacy, we felt that Lumenbeam fixtures were the best choice. They had the right mix of performance and sustainability, and their low profile was a huge advantage, letting us hide the fixtures from view," Minard said. 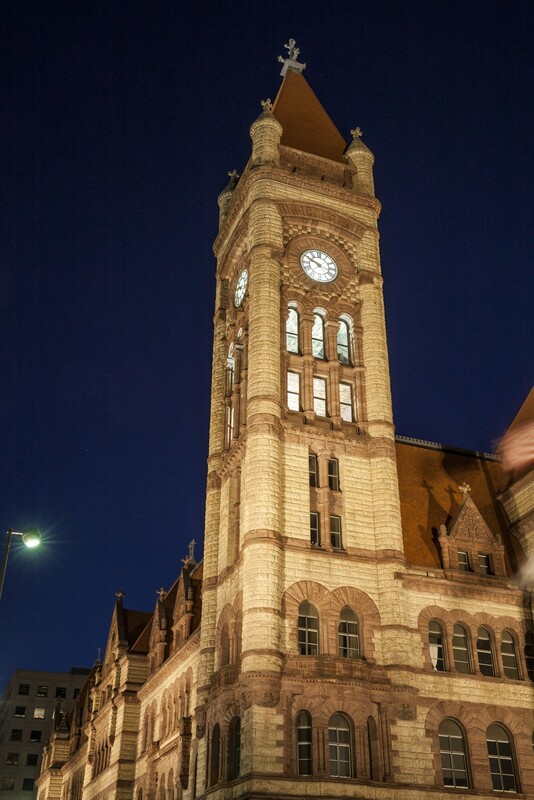 "The building has a lot of character, which we wanted to emphasize with contrasts and shadows. 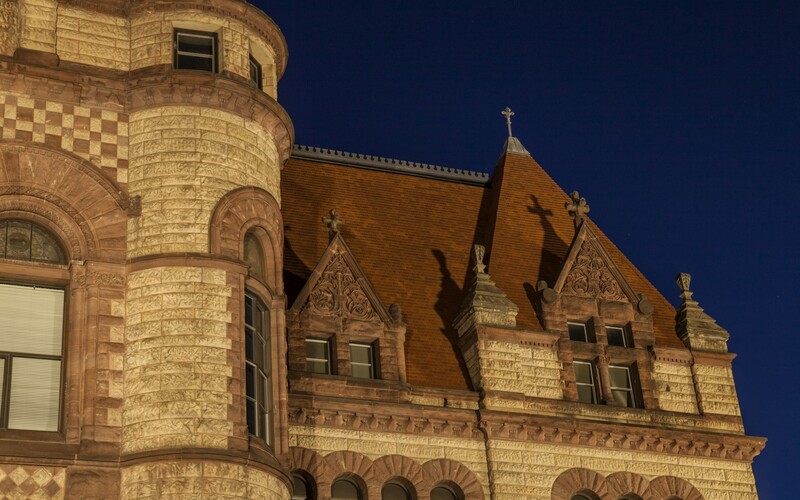 It also has natural stone terracotta finish that is distinctive and I wanted to render that at night. 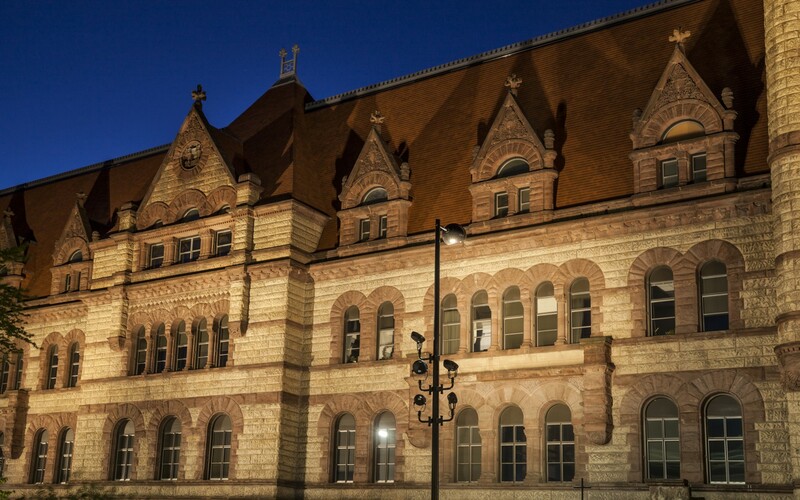 Instead of grazing, and running cable around the building, we went with a floodlighting approach to provide uniform light, which we carefully aimed to avoid hot spots and glare inside," Minard said, adding that luminaires are mounted on the same assembly poles as the original design. "We did a one for one swap, but with the efficiency and distribution of the Lumenbeams, we could significantly reduce the total wattage," he said. "The savings are huge, but more importantly, the building has a whole new lease on life," Minard said.